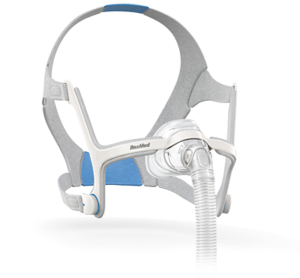 What makes a great CPAP mask? Comfort and performance are perhaps the two key factors. The AirFit N20 features the InfinitySeal™ cushion – the most adaptive we’ve ever designed – along with a soft and flexible frame that includes integrated padding. The result is a mask that comfortably moves with you and provides a reliable seal throughout the night, regardless of sleep position.